You are here: Home / Blog / The absolute cutest Valentine’s Day Bingo game! Now 2 styles! 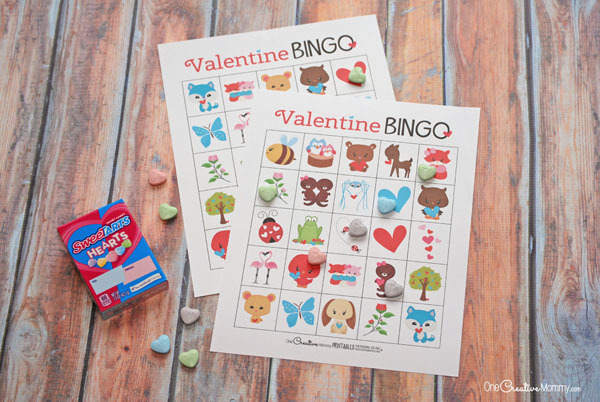 The absolute cutest Valentine’s Day Bingo game! Now 2 styles! If you’ve ever been in charge of the Valentine’s Day class party, you probably know that Valentine’s Day bingo is always the hit of the party. Bingo is a great way to involve all the kids without requiring much prep work. Even better, it doesn’t make a mess! (You’re welcome.) I’ve been using this adorable bingo game for several years, but I think it’s time for an update. So, in addition to my original game (pictured below), I’ve now created a new Valentine Bingo game for 2019. I hope your family or school class enjoys these bingo games! Valentine’s Day Bingo Times Two! My original valentine bingo game is a perfect match for my previous sets. You’ll recognize the same style of characters with graphics adapted from Jessica Sawyer Design, Ellie Lash (no longer available online), and some created by yours truly. Like my other bingo games, you can download a free family set here, or purchase the full 30-game-board set from my Etsy shop. 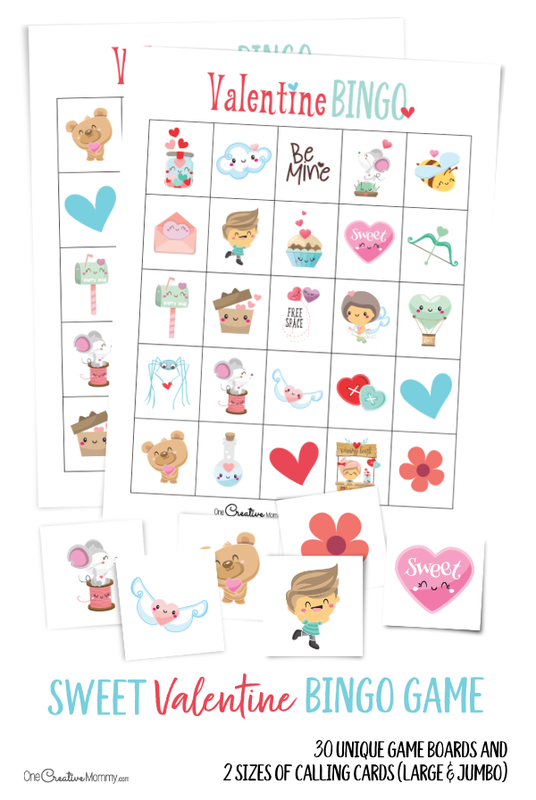 My new Valentine’s Day bingo game is just as cute (or maybe even cuter), but it is only available in my Etsy shop. I just couldn’t resist creating a new game with updated graphics. I’m a sucker for cute pictures! Which game do you like better? Look no further for the perfect bingo game for your family game night or an elementary or preschool class party. Like my other boards, this game is made for family fun — not for competitive play. Each board contains every picture, making the game easier and more fun for younger players. Are you ready to download a set of my original game for your family or school class? 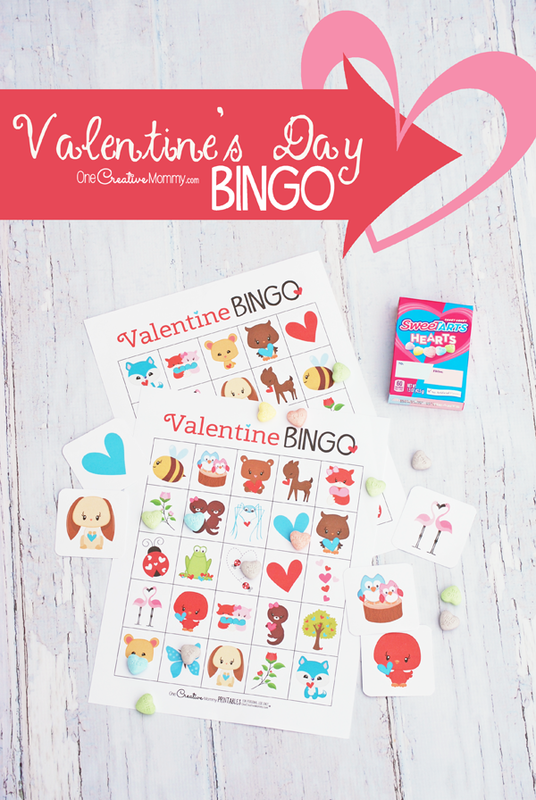 Click on the download button below to get a free family set of Valentine Bingo version 1. The set contains 6 boards, calling cards and an instruction page. The file will open in a new window. You can print from there, or save the file to print later. 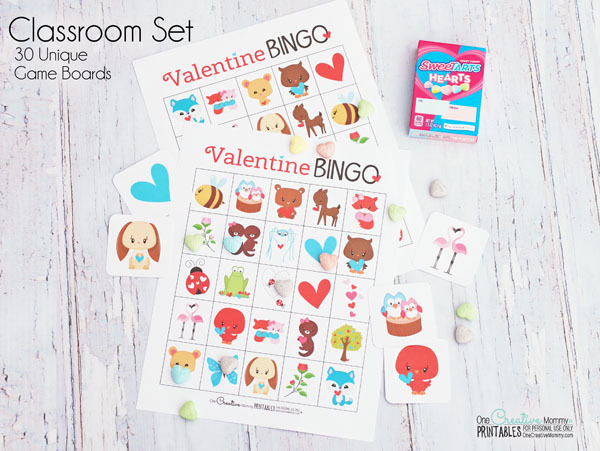 Click the download button below to purchase a classroom set (30 boards) of Valentine’s Day Bingo version 1 from my Etsy shop. 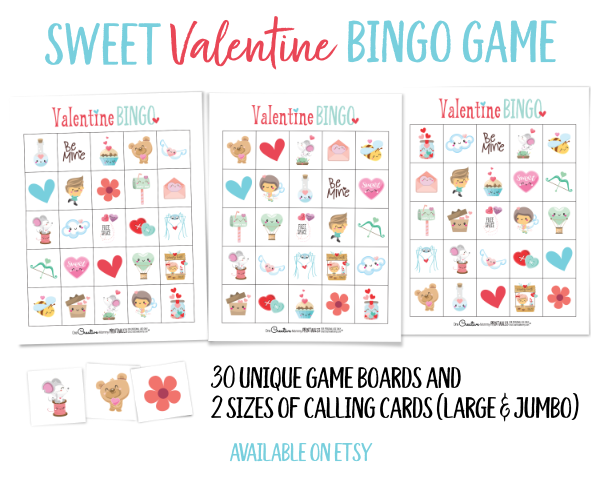 Click the download button below to purchase a classroom set (30 boards) of Valentine’s Day Bingo version 2 from my Etsy shop. I love the picture calling cards because even little kids can be in charge of calling the game. In fact, calling the game is so easy that the kids can play all by themselves, with no adult supervision. So, go ahead. 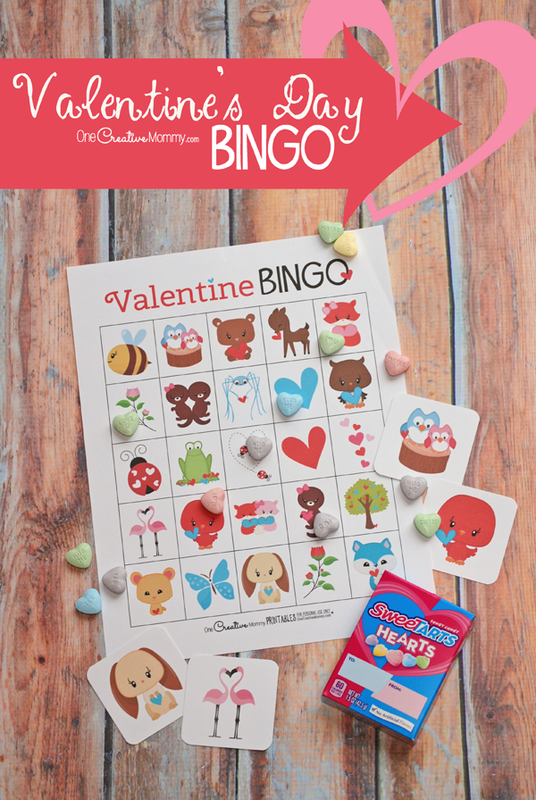 Hand the Valentine’s Day bingo game to your kids and go make dinner without interruptions! You deserve it. Thanks for stopping by today. I hope you’ll stick around and check out more fun ideas. 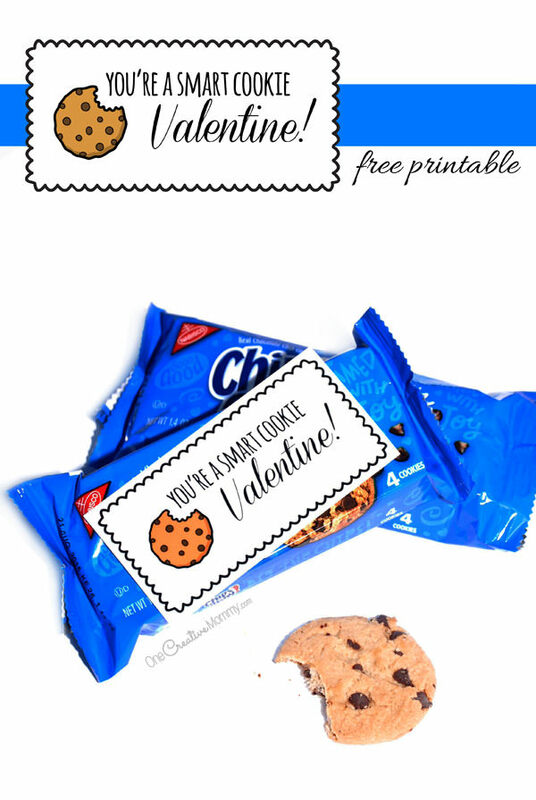 I have tons of free printable valentines to choose from! The images below are linked to the projects and printables. Thanks, Lisa! I remember chatting with you a lot back in the first year of OBC. Nice to hear from you! My daughter would LOVE that BINGO game! I need to download it for her class! Thanks, Jessica. You should do it! Bingo is always great at class parties. Oo I love all these ideas! The hair is fabulous too! Thanks, Amber. 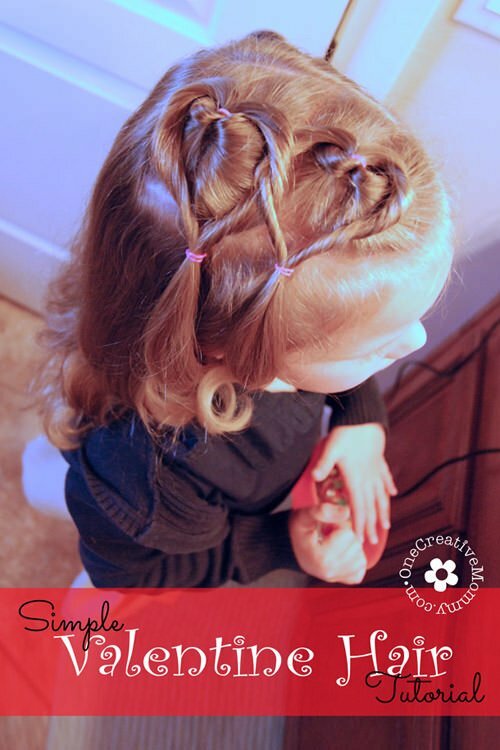 That simple Valentine hair style is one of my most popular posts. I still didn’t take of my Christmas decoration. I just love it to much. :) This seems like a very interesting Valentine’s game. Thanks, Milica. I finally took my Christmas decorations down yesterday. That’s always the hardest part of Christmas! Thanks, Elizabeth. Who doesn’t love a good game of Bingo, right? What a cute game! I would love to play this with my kids. I am sure they would love it as well. Thanks, Carrie. I hope you and your kids love the Bingo game. I’m glad, Thi. Thanks for stopping by and taking the time to comment. Have a great week. What a cute game! I’m printing it out to pass along to my youngest daughter’s second grade teacher. The kids will love it! Thanks, Brandi. This would be perfect for second graders. I hope they love it! Thanks! I hope your sister-in-law and niece have fun with the game. Thanks for sharing. My kids would love this and I like the box of conversation hearts are the place markers. It’s a perfect classroom game for their party day. Thanks, Rose. 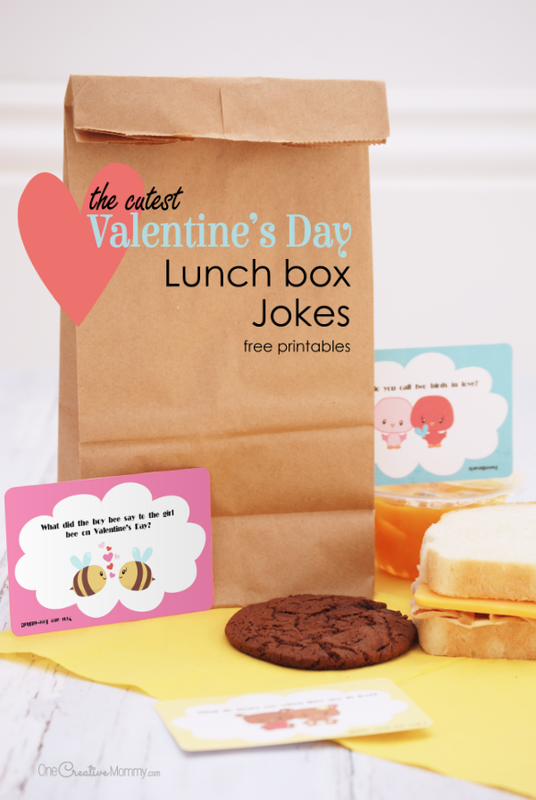 The conversation hearts make easy markers, and the kids get to eat them when they’re done! Thanks, Sharon. I hope you hand your family have a great time with the game! Well, happy Valentine’s Day and Happy Birthday, Claudette! That sounds like a pretty cool game. I love the idea and it’s really creative as well. I’m sure it’s going to be a hit with the kids! Thanks, Carol. I hope the kids love it, too. Happy Valentine’s Day. This is too fun and festive for valentines day! Will have to do one for my little cousins. You should definitely do it, Shane! Your cousins will have a great time with you, I’m sure. What a cute game for kids this Valentine’s day! It’s really nice that you came up with such a game, it’s going to make them excited for the day! Thanks, Elizabeth. I hope so! Happy Valentine’s day! This one is also fun to play with in a training class or environment! I like that it’s easily accessible, thank you! Thanks, Our Family World. I hope this game will be a great resource for you. Visiting from the Create Link Inspire linkup! I love the Valentine bingo! I pinned it tonise when I substitute teach! Thanks and happy Tuesday! Thanks, Megs. I’m a substitute teacher, too. Thanks for taking the time to comment. I hope your classes have fun with the game. These are super cute! I’m sure my 5 year old Daughter would love these as yours did! Thanks, Chrissy. I think your daughter will love it, too! Thanks! You’ll be the favorite aunt if you play this with your niece! That sounds like so much fun! I think the kids would have a blast playing this, especially my youngest. Thanks for the great idea. You’re welcome, Audrey. I hope you and your kids enjoy the game. I tried this Valentine’s Day bingo game. I like it. Thanks, Sapana. I’m glad you liked the game. Thanks for taking the time to come back and comment about it! Have a great week! Hi! I love this! Especially that you included both a home and classroom set. Thanks, Jennie. That would be fine, as long as you link back. You may use the image in a collage on pinterest, but please don’t use just my image linking to your site instead of mine. Thanks! This is so adorable – I love it! I will share this post with one of my Mum friends – she was mentioning some games the other day, and this will be a great addition. Awww the designs of this bingo are absolutely adorable, they just want to play! To be honest, I never knew how to play bingo all I thought was you just stamp numbers and yell Bingo when something happens. Now I at least have an idea and this is a great one. This BINGO for kids was so cool. This is actually the first time I have heard about this. Oh my goodness this so cute! I absolutely love this idea, what a fun thing to do for Valentine’s I could 100% take part in this bingo. This is such a cute idea! What a great way to celebrate! This sounds like so much fun for kids in my church school. Thank you for this! I don’t think I have ever played Bingo. This bingo game is so adorable! perfect for the kids! This would be perfect for a class party. I love that the candy hearts are the markers. I love this idea! when I was young I always thought that vday is only for adults but with this, kids as well can have fun and be creative! This idea brought such a smile to my face. My late Nana loved all things Bingo and she would have loved this! You’re so spot on! These are the absolute cutest Valentine’s Day Bingo Cards. I will definitely be using these in my classroom! This is such a super game for the kids! This bingo game is so adorable! I’m not the biggest fan of Valentine’s Day but a bingo set sounds fun. We used to play that in school days. You’ve made it so appealing!! This is absolutely adorable! I haven’t play bingo in long, long time, I think is time to do it again and invite the kids! Bingo sounds great and I guess i can suggest it to people. valentines day bingo looks like so much fun!